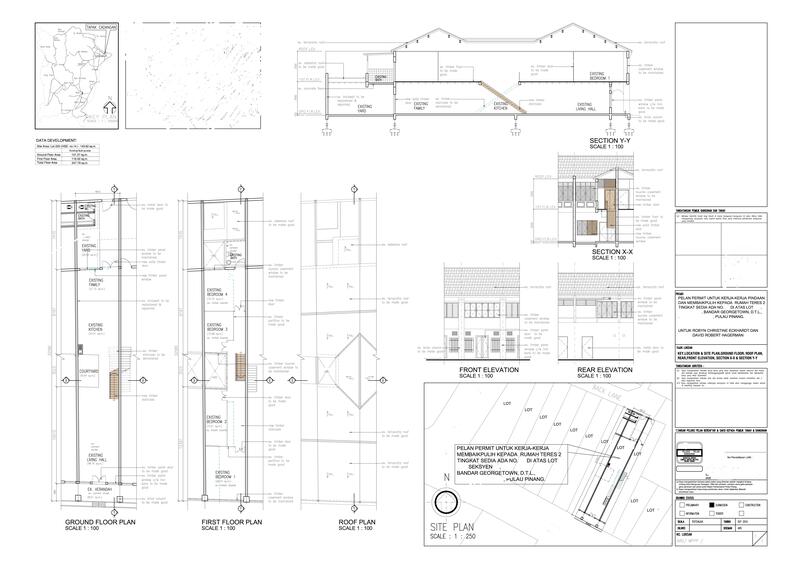 For architectural drawings of property before refurbishment, including floor plans / facade / rear / lot, please click here. For photos of property prior to refurbishment, please click here. Location: 14 Kimberley Street 1/2 block from Carnavon Street, in the heart of the George Town UNESCO world heritage site. Zoned: Residential (can be converted to commercial). Complete structural and cosmetic renovation completed May 2013, retaining as many original parts of house as possible. New, to-code electrical with traditional exposed wiring, two fuse boxes and plenty of outlets and ample power. No problem running two or even three large appliances in kitchen at same time. New plumbing, water heaters on ground and first floors, built-in water filter in kitchen. 11 timber beams replaced, including structural beams on ground floor. Metal front and rear doors replaced with tall double timber doors. Rear window on ground floor opened up/restored to width of original beam, fitted with vintage metal-framed wide blue-glass windows. Timber staircase completely rebuilt for lower rise and deeper steps, hand-planed banister, retaining original granite lower steps. Creation of ample storage space beneath and at front of staircase. All but a small portion of timber replaced on first floor ceilings. Three air-conditioners installed on first floor; have been maintained with regular servicing. Entire interior and exterior of house chipped down to brick, replastered and painted. Courtyard tiled in cement and reclaimed granite blocks. Original tailor's signage retained and refreshed. Sold mostly furnished with excellent quality pieces. In master bedroom: king-size bed frame and mattress. Side char. In TV room, two-seat sofa and two comfortable fold-out mattresses for guests, barely used. In office, three long white laminate IKEA desks, double white IKEA shelving, and two tall teak bookcases. In downstairs entryway, custom-built tall teak cabinet with shelving, sturdy drawers and double doors salvaged from Jakarta shop house. In living room: custom-made walnut mid-century style coffee table, 3-seat sofa, chair and ottoman. Mid-century high double teak and metal cabinet from northern Thailand. Two end tables. Two cane-seat teak chairs. Kitchen: 16-foot marble and timber workbench with lower shelf, large teak bar with drawer and two lower shelves, double tall timber shelving units from Thai coffee shop, tall custom metal stools (seating for workbench) modelled after Penang kopitiam seating. Tableware (plates, glasses, cutlery), some serve ware and pots/pans/baking dishes, some small appliances. All large appliance (double wide refrigerator, cooker, dishwasher, clothes washer and dryer) stay with house. Additional pieces of furniture may be available upon negotiation. Please note that several walls on the first floor require replastering. Original contractor has provided estimate for the work which owners are happy to share with potential buyers. Contractor's work is excellent, he is reliable and honest, and we are happy to connect buyer with him. Depending on timing of sale owners may require a few months' rent-back.